Every year we make goals to improve our fitness over the year before. This year, I knew I had to make big changes. As soon as my 38th birthday hit last fall, my arms changed shape. It was almost over night! I had become weak because I wasn't working out. I decided to make an incremental change in my activity to help me get stronger and more fit in a way that is practical for my busy schedule and current fitness level. 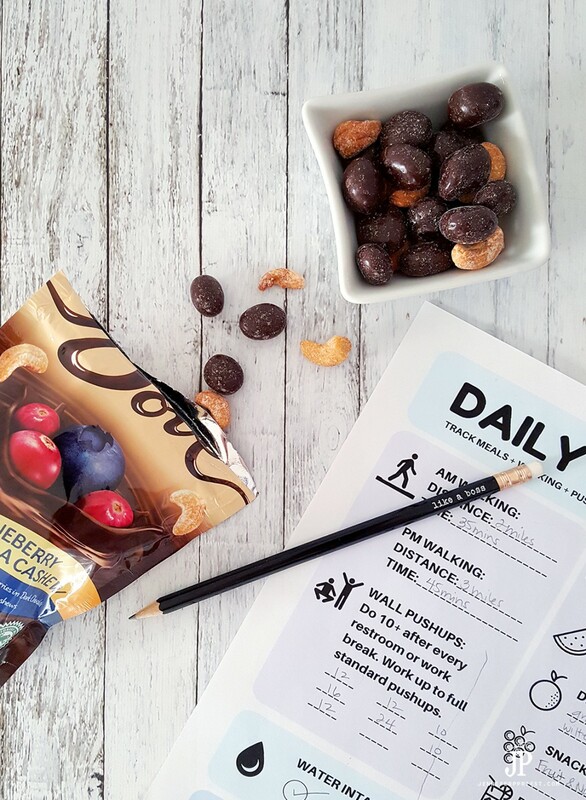 I made changes in how I work fitness into my day by doing wall push-ups, focusing more on what I eat, how much water I drink, and incorporating yummy smart options like DOVE® Chocolate Fruit & Nut into my routine. It's okay to “treat yo self” when you're working towards a fitter lifestyle! 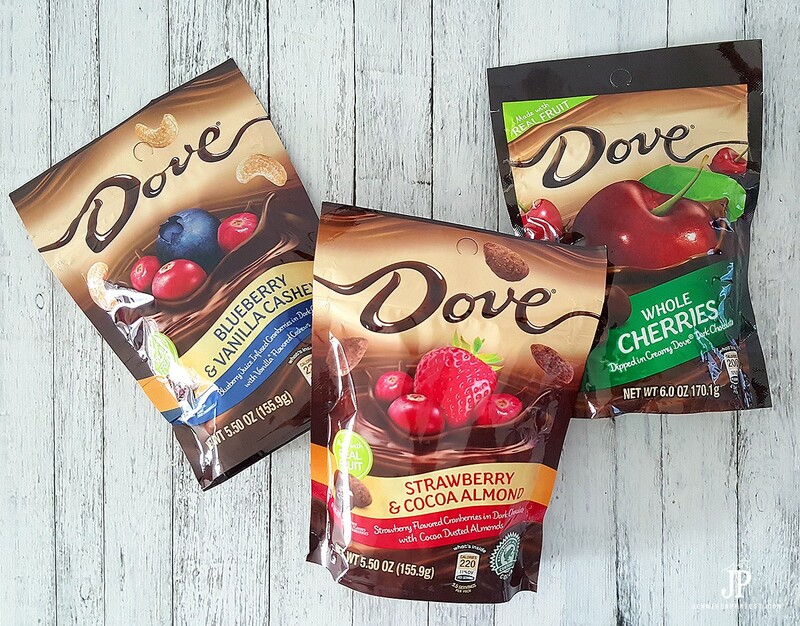 The DOVE® Dark Chocolate Blueberry & Vanilla Cashew below is simply divine! Last fall I saw a video of a man who was very out of shape and could barely move. He took a video of himself doing yoga every day for a year. At first, he could barely do any of the moves and could not last an entire yoga session. Each day, he continued to try to do more and each day, he improved over the previous day. By the end of a year, he had changed the shape of his entire body and was really strong! Change happens incrementally with choices and small changes we do every day. Being busy, I know it's hard to remember what we eat and to work out. I have three great ideas I have been using this year to help me stay on track and get stronger. My first tip is to choose smart delicious snacks. I know I get hungry in the early afternoon every day. 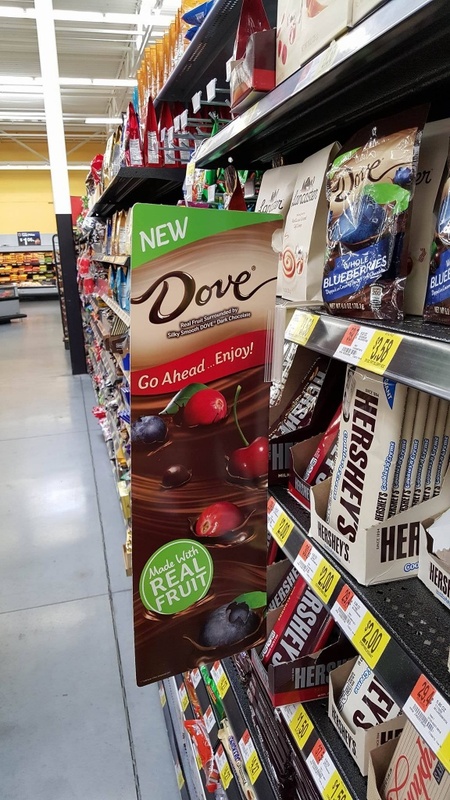 It's a great idea to have smart snacks on hand, like DOVE® Chocolate Fruit & Nut, as a treat you can enjoy! I like to add DOVE® Chocolate Fruit & Nut to a lunch or afternoon charcuterie spread. Xaver's family has always enjoyed spreads like these during the holidays but why not enjoy them every day? 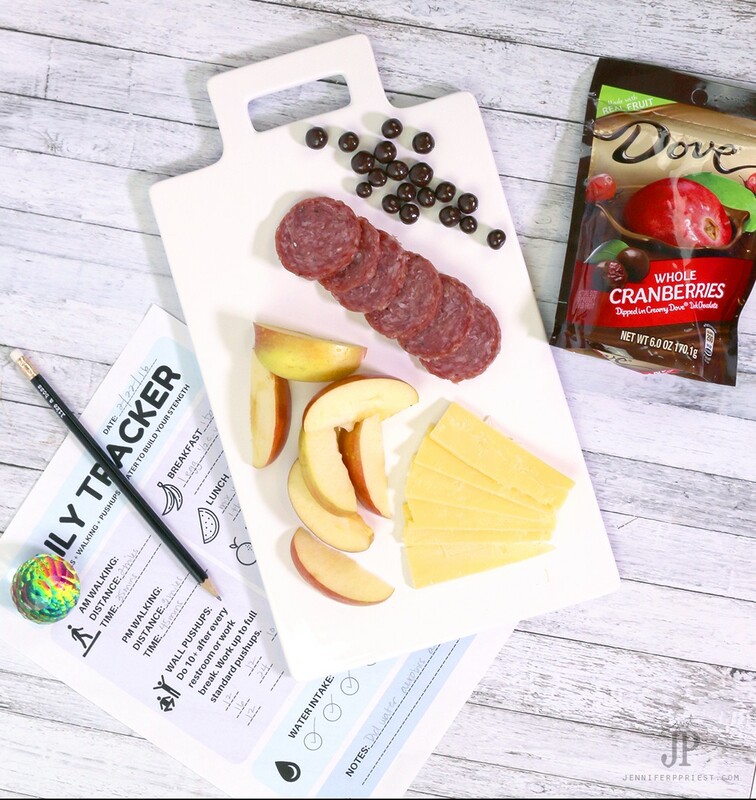 Pull out a cheeseboard and lay out all the ingredients to make lunchtime extra special: nitrate-free salami, cherry tomatoes, sliced apples, a drizzle of honey, sliced fancy cheese, and DOVE® Chocolate Fruit & Nut. Because my arms were such a concern after my last birthday, I wanted to do an exercise to get my arms back into shape and build my strength. When I was in the Army, one of the ways we got strong during Basic Training was to do push-ups all day long. Doing push-ups throughout the day at a regular job might seem silly and difficult to remember to do. I decided to make my push-ups coincide with restroom breaks – restroom breaks happen all throughout the day and the restroom provides a semi-private place to do a few push-ups. The key to push-ups helping you build and define your muscles is to do them often. When I was in the Army, I could do over 70 push-ups in 2 minutes all because I was doing push-ups all the time, all day, every day. Doing push-ups on the bathroom floor is yucky and doing push-ups when you're out of shape is almost impossible. That's why I started doing “wall push-ups”. Wall push-ups are just what they sound like – push-ups you do on the wall. When you can't get down on the floor to do a push-up, wall push-ups are a great alternative that still work the same muscles as traditional push-ups. Plant your feet firmly on the ground, about shoulder width apart and at least 18″ away from the wall. For more resistance, place your feet further from the wall. For less resistance, stand closer to the wall. Place your hands on the wall, palms flat, directly in front of your shoulders. Tighten your abs to keep your back straight. 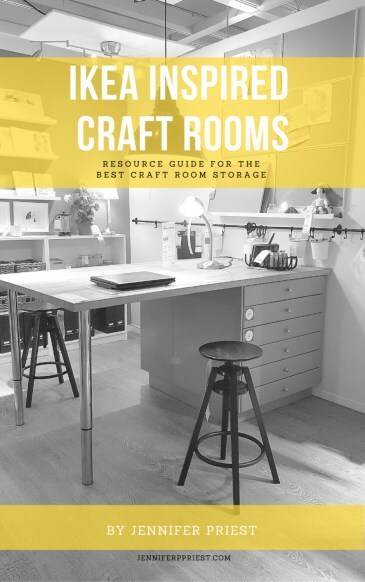 Imagine that you have a board glued to your back and you have to keep it straight and stiff. 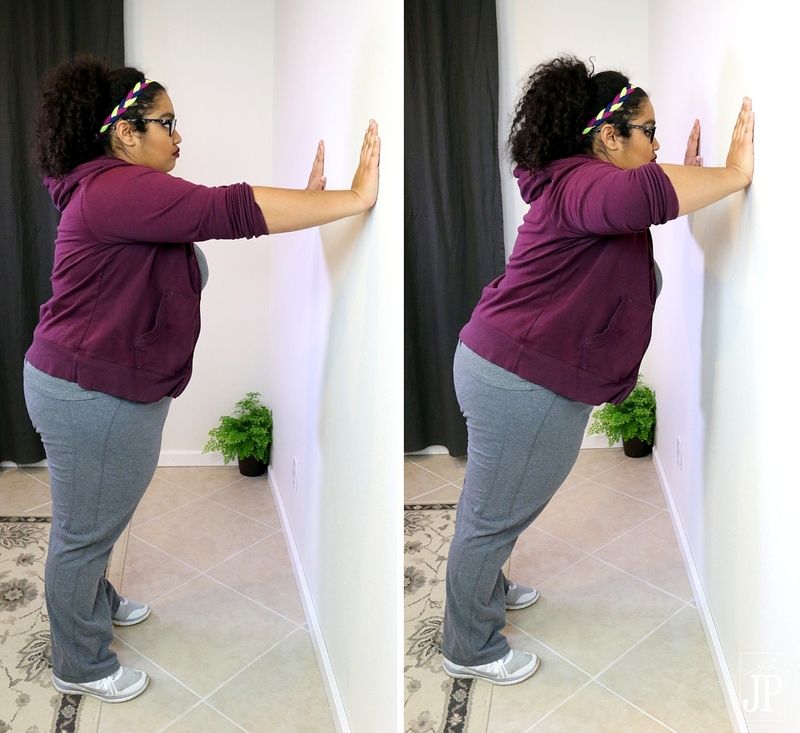 Lower your body towards the wall, keeping your back straight. Inhale while lowering. Lower to the wall until your face is as close to the wall as possible without stretching or straining your neck. Press away from the wall, again keeping your back straight. Exhale. Always consult a physician before starting any new fitness routine. I started doing at least 10 wall push-ups every time I took a break. Each time I took a break, I tried to do more push-ups than the last time, until my arms quivered. This is how you push your muscles into getting stronger – you have to reach that point of quaking muscles. I'm not a trainer but I do remember the training we got in the Army and this was what we did to get really strong. The first few times you do wall push-ups, you will feel sore, especially if you have not been working out, but they get easier and you'll start to feel stronger quickly. Once you start finding the wall push-ups getting easier, vary your routine. Spread your arms wider apart on the wall to work your chest muscles more. Touch your thumbs and forefingers together on the wall to form a diamond (called “diamond push-ups”) to work your triceps. Stretch and rotate your arms after each session – I do this while I walk back to my office. I do my wall push-ups in the hallway that leads from my bedroom to my office since I work from home. I'm up to about 100 wall push-ups a day and I feel so much stronger. My arms are starting to look different now too! 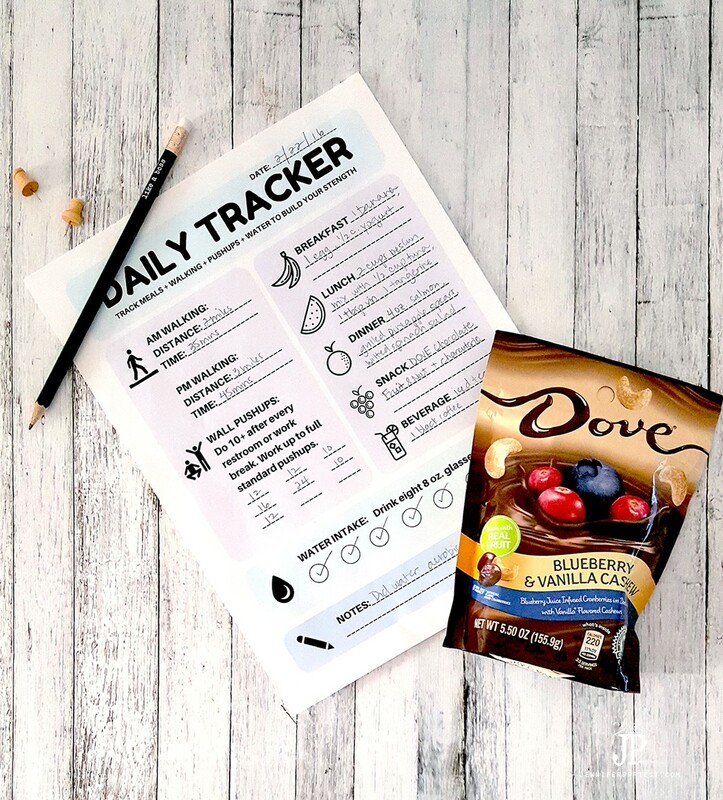 Enjoying a yummy lunch or snack with DOVE® Chocolate Fruit & Nut is great but if you're going to get in shape, tracking your intake, meals, and activities is key. 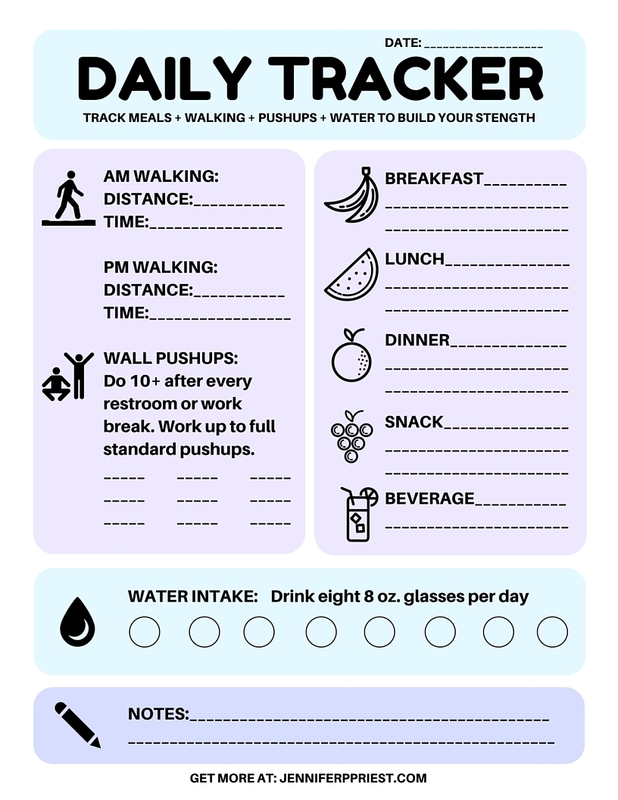 I created an easy to use printable “Daily Tracker” to help you track water intake, meals and snacks, walking, and wall push-ups. As your fitness level improves, you can exchange the walking activity for running or swimming and graduate from wall push-ups to standard push-ups. Right now walking and wall push-ups are doing the trick for me. What smart strategies are you using to get in shape this year? And how do you treat yourself in a fit way? I'd love to hear about it in the comments section! I have not seen these Dove products! They look dislish! Thanks for the wall push-up idea I will try them, I have RA and I have trouble with exercising w/ joint pain let alone getting on the floor! Our pool is my favorite place during Spring, Summer and Fall. I REALLY need to get in shape so I can enjoy my pool time. 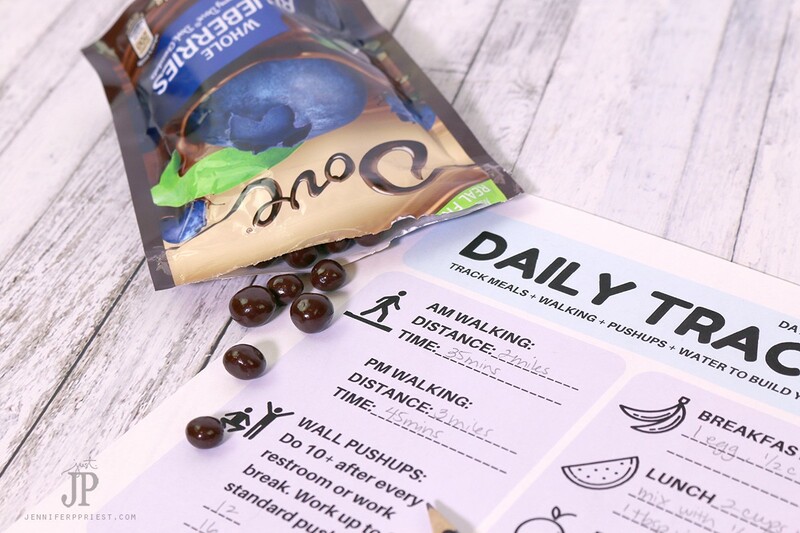 Thanks for your tips, ideas, printable and for the coupon for the Dove Fruit & Nut snacks. They will definitely curb my appetite along with healthy treat.